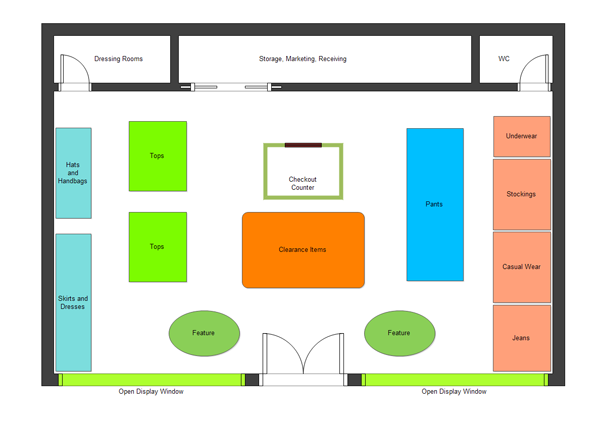 Offers some examples of store plan to help business owners design store plans more easily. The above store plan example is drawn with the Edraw Max software. It helps design a store layout and merchandising plan through free Templates and examples.